With the Premier League title wrapped up, Chelsea decided to reward Michy Batshuayi, the man who scored the goal that did it, his first Premier League start of the season. 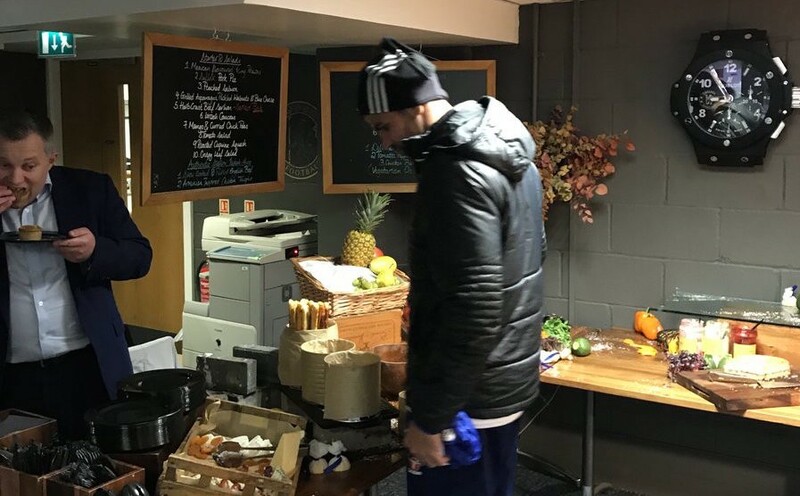 This left Diego “The Menace” Costa with some free time on the bench, where he apparently worked up an appetite during the first half against Watford. So, during the break, he wandered into the press room to pilfer some food. Having seen what Diego did to John Terry the other day, no one tried to stop him. Being members of the press, they did rat him out to his manager after Chelsea’s 4–3 win, though. Naturally, Chelsea manager Antonio Conte was flaming mad about this thoroughly unprofessional behavior. Conte is told about Costa's half-time visit to the press buffet. Says he's "angry" with Costa for not bringing him some chocolate. If you’re going on a halftime food run, you always grab some chocolate for the gaffer. That’s rule №1. Don’t be surprised if Costa gets sold off for this.